The committee has requested for him to appear in person, but Assange, in theory, could testify through the use of a video livestream. The only technical hinderance would be the fact that the Ecuadorian government cut off Assange’s internet and communications in March, under pressure from the US government. “The inquiry has asked for him to appear in person at a mutually agreeable time and place. We are seriously considering the offer but must ensure Mr Assange’s protection is guaranteed,” Jennifer Robinson, a member of Assange’s legal team, told CNN. Christine Assange, Julian’s mother, has a list of things that she would like to see happen before her son agrees to testify. She told the Gateway Pundit that her wishes include an end to the WikiLeaks grand jury, a dismissal of charges against all WikiLeaks staff, safe passage for him to a nation where he can receive medical care and an agreement that there will be no future US extradition requests. She would also like to see the testimony conducted publicly through Skype. Senator Burr’s office repeatedly declined Gateway Pundit’s multiple requests for comment about the issue. 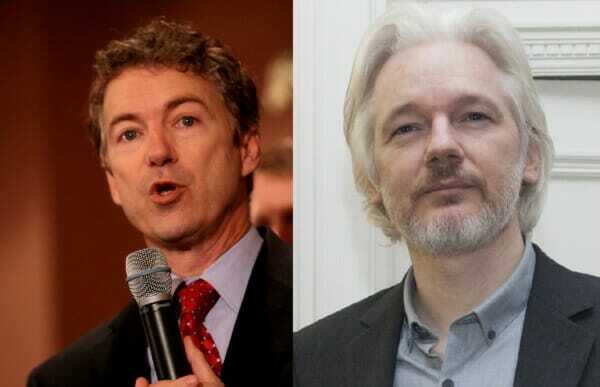 Both Senator Paul’s father Ron Paul and the senator’s Chief Strategist Doug Stafford signed an open letter published by the Gateway Pundit in April calling for Assange’s communications to be restored, for the United States to end the Grand Jury investigation into WikiLeaks, and for any charges against the publisher and all other staff members to be dropped.